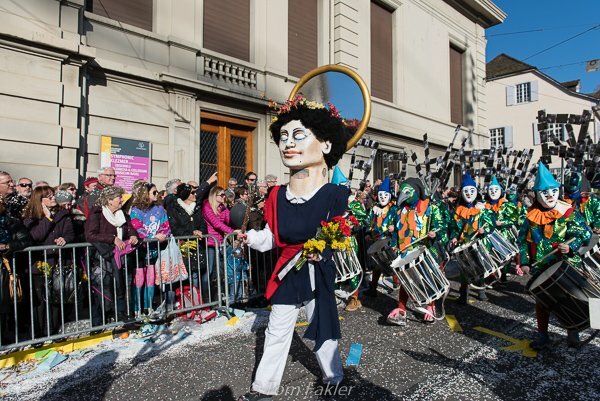 Basel’s Fasnacht, as Carnival is known here–is a blur of sight and sound, color and music. It goes on non-stop in the city’s Old Town for exactly 72 hours in the week following Ash Wednesday. This year, Anita and I watched Morgenstreich from the vantage point of a friend’s apartment in the midst of the action. The “three most beautiful days” run each year from 4:00 am on Monday morning until 4:00 am Thursday morning, and we were on hand for the show from build-up to clean-up. 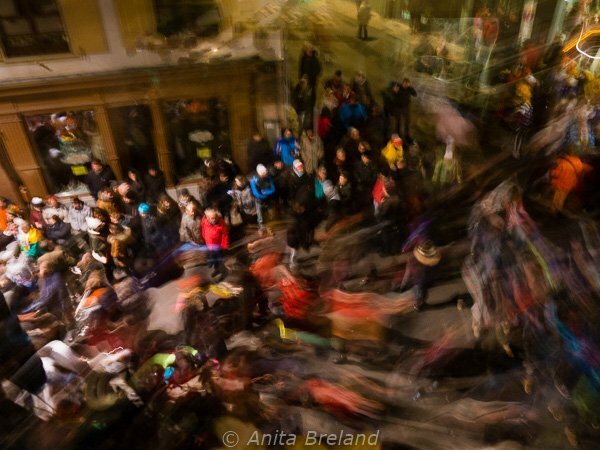 For Morgenstreich, we enjoyed cheese and onion pies and other Fasnacht fare with friends as the crowds swirled through the street below. Later, we were showered with confetti, mimosa branches and silly tokens at the big parades. 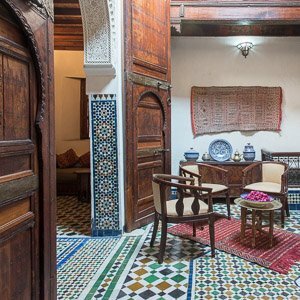 In the evenings, we followed groups of pipers and drummers as they marched through the lanes of the Old Town, and we enjoyed the discordant-but-jazzy brass band concerts. 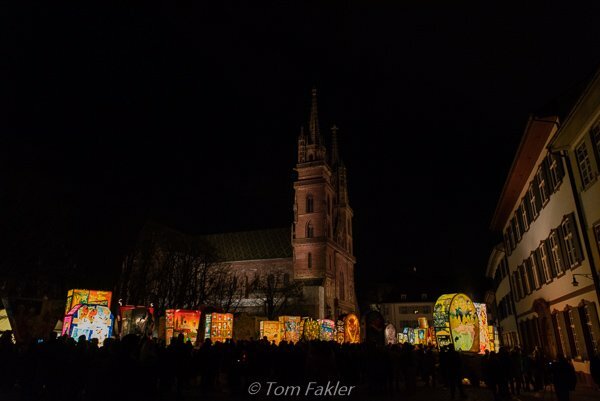 We also did our best to understand the intricate themes painted on more than 200 lanterns displayed at Basel’s Cathedral Square, and watched Baselers howl with laughter at comedic performances in two of the many cellars beneath Basel’s medieval buildings. I even set a clock and went out to marvel as clean-up crews rolled into the Old Town to clear all evidence of the three-day party. 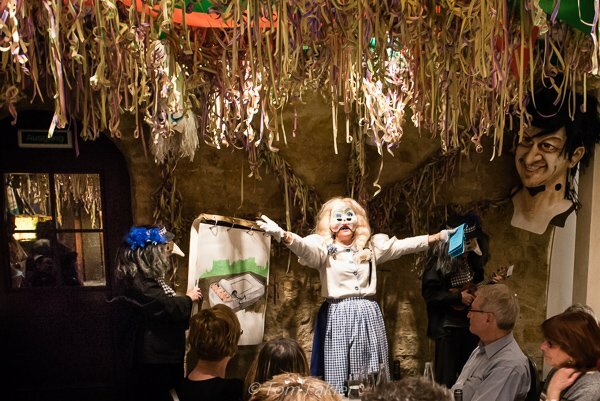 Here, in 20 photos, is our memory book of Fasnacht 2015. Take a look! 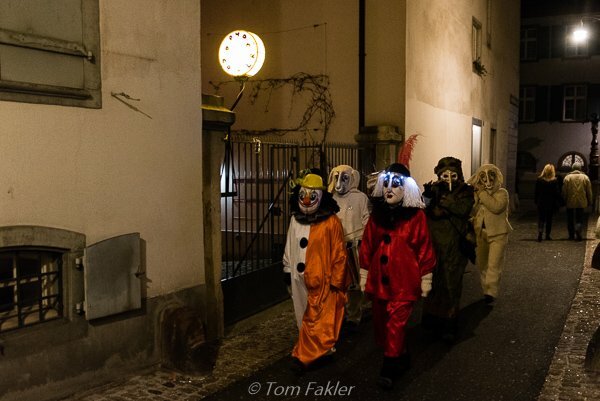 As the lights were turned out at exactly 4:00 am Monday (yes “exactly”, remember this is Switzerland) the leaders shouted “Forward March!” and the Cliques, with their lanterns, costumes, drums and fifes, began their march. Morgenstreich filled the streets until after sunrise. At intervals, the groups paused to take a break for breakfast, and enjoy their own Fasnacht foods. 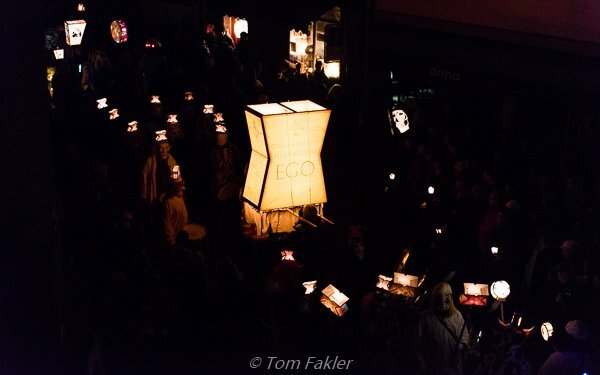 Each marcher wears a head lantern and the cliques carry a large lantern decorated with satirical themes and verses. During Morgenstreich, streets are clogged with marchers whose paths cross at corners in the Old Town. It’s up to spectators to stay out of the way–the marchers have very limited visibility from behind their masks. There are two parades–called Cortège– one on Monday afternoon and another on Wednesday, and following a set route. Costumes vary, from traditional Carnival characters with historical origins, to inventive creations depicting Fasnacht themes. 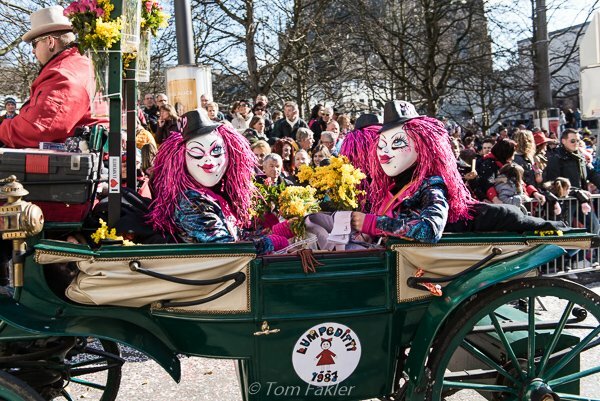 The Cortège offers spectators a chance to see them all in full array, and in action. Cliques choose a theme for the annual event, satirizing something that has happened within the last year, whether political or just timely. A Tambourmajor (drum major) heads the marchers. French president Hollande was the subject of satire by several cliques. This lantern, inscribed “Sauce Holland(e)aise, followed a Requisite (subject wagon) referencing the region’s airport, located in Alsace, France, and heavily financed by Switzerland. Buffoons called Waggis do a comedic turn on Alsatian peasants, sporting masks with huge mouths, and large teeth and noses. They are noisy and mostly good-natured fellows, throwing oranges, candies and other small items to the crowd and showering spectators with Räppli (confetti). Characters dressed as “Old Aunts“ ride in the Cortège in horse-drawn carriages, and hand out small gifts to the crowds lining the parade route. 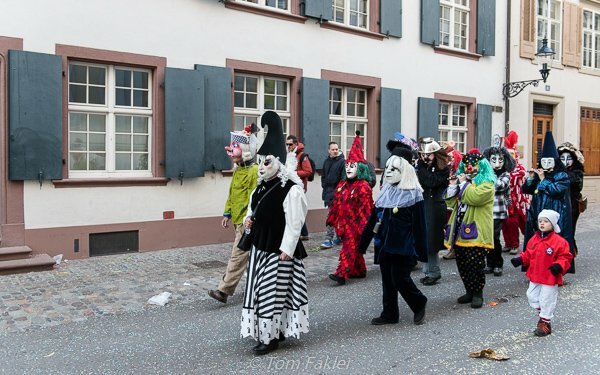 Individuals and small groups of masked musicians wander Basel’s Old Town in the evenings and on Tuesday afternoon. 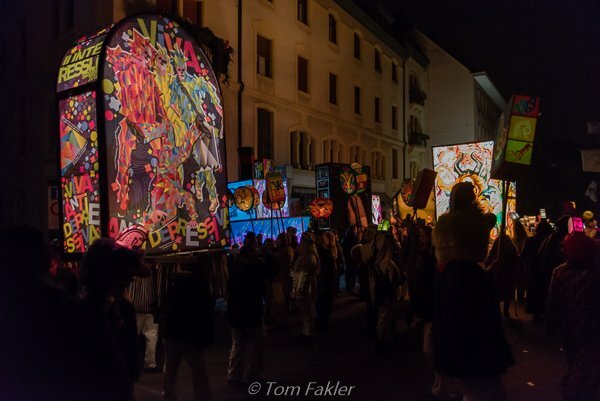 Falling in behind a group and following the hypnotic beat as the players make their way along narrow lanes and alleyways is a fun way to take a time-out from the grand parading of Cortège. Known as Gässle, this provides an entirely different Fasnacht experience. Gässle with just two piccolos and one drummer. Here, they pass in front of a sign announcing a Cliquenkeller. Although anyone can follow along as little groups march and pipe their way around town, it often appears that friends or family are the group’s biggest fans. 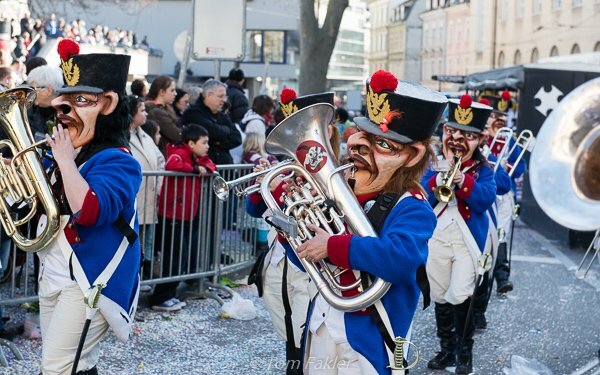 Brass bands are a relatively recent addition to Basel’s Fasnacht, but are now a major attraction. Players of Guggemusik bring loud, often discordant, flamboyance to the proceedings. The insistent rhythm often has spectators dancing in place, or following the groups as they take over Old Town streets on Tuesday evening. I love the masks of this Guggemusik group, as well as their lively sound. You know they must be having fun! On Tuesday evening there are Guggenkonzert in three locations in the Old Town. This group is playing directly in front of the 500-year-old Rathaus (city hall). For a spot in the front row, you have to be there more than an hour before the concert starts. Guggemusik is brass-band music, with the music generally played off key. Sometimes, while marching in the evening, a group will stop in the street, take off their masks and play great jazz. Fasnacht lanterns, called Laterne, illustrate each Clique’s Sujet (theme) for the year. Lanterns are paraded through the streets at Morgenstreich and in the Cortèges, and exhibited in front of the Münster on Tuesday evening. They are hand-made, and many are works of art as well as satirical commentary. 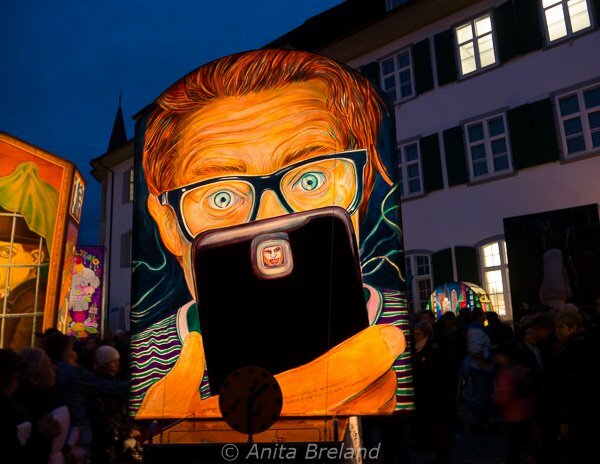 The top topic of Basel Fasnacht 2015 was the selfie, illustrated in myriad ways! On Tuesday evening Fasnacht lanterns are displayed on Basel’s Münsterplatz. 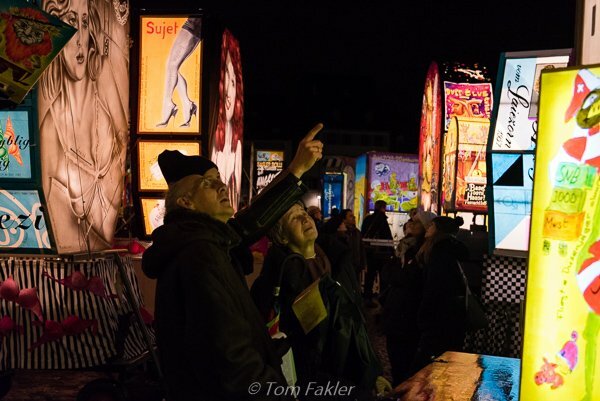 People stroll between Fasnacht lanterns checking out the themes portrayed, and discussing the verses painted on them. For speakers of Basel’s dialect, more help is at hand: Zettel, paper slips with the theme in verse (and in dialect) elaborate the various subjects. 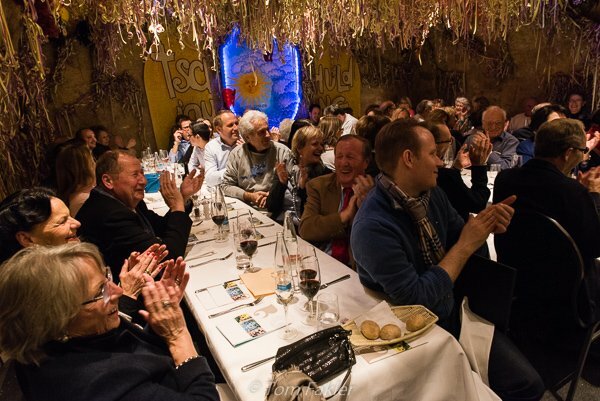 Schnitzelbank singers are bards who dress in costumes and sing satirical verses (in dialect) on the themes of the year. I do not understand the local Swiss German but I still enjoy going to watch Schnitzelbank. A crowd of locals will listen to the first three lines and wait as the singer pauses. Then, when the punch line is delivered, everyone in the room cracks up laughing. Usually Schnitzelbank is done with two or three performers. The main singer performs the lyrics, accompanied by a musician and someone to manage the flip chart. Performers have just delivered the punch line to an appreciative crowd. 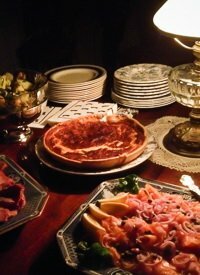 During Schnitzelbank Cliquenkellers (the cellars owned by the various Fasnacht Cliques) serve light food and drinks to an ever-changing crowd. 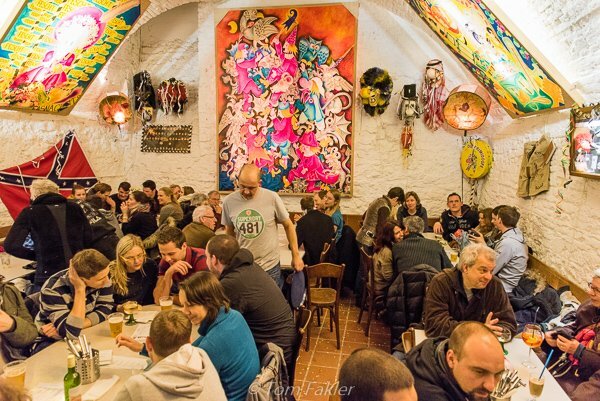 The cellars are decorated with painted panels from past years’ Fasnacht lanterns, masks and other memorabilia. 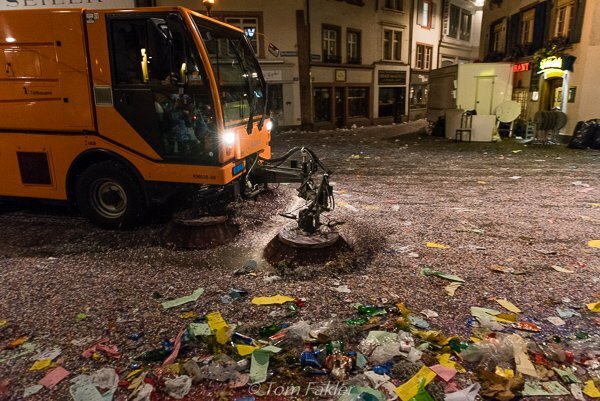 After every parade there is some trash; during Basel’s Fasnacht there are tons of trash each day. And each morning of the “three most beautiful days” the City of Basel street cleaners are out in force, collecting about 60 tons of trash–in 2014, about 250 tons of litter altogether! In true Swiss style, the cleanup is an well-organized ballet of men and machines. A team of men sweep the trash from the sidewalks at Barfüsserplatz into the street for collection. 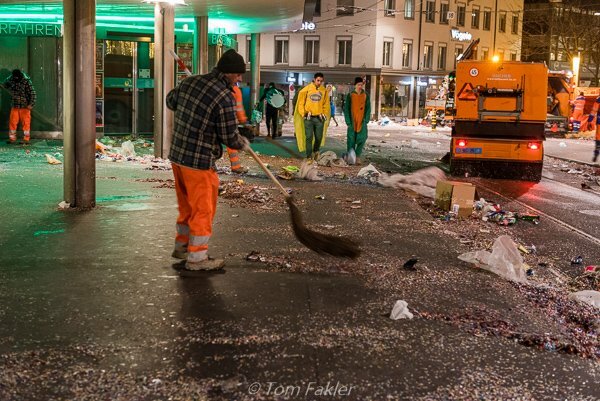 Street cleaners–people and machines–are poised just outside of the Fasnacht zone on Thursday morning at 4:00 am, ready to tackle the final cleanup. I have seen street sweepers at work before but never with such enthusiasm and diligence. Fasnacht ended at 4:00 am on Thursday. By 9:00 am, it was scarcely evident anything had gone on, the streets in the city center were so clean and neat. It took two more days for all of the benches and railings to be put back in place around town, but thanks to more than 100 machines and around 265 city workers, the Old Town was back to normal by the weekend, ready for the city’s next big event. 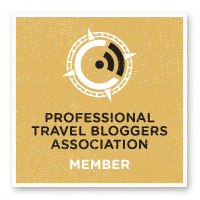 Tom is a travel and lifestyle photographer who enjoys writing about unique and interesting things he discovers while traveling. Follow Tom on Instagram, Facebook and Twitter. 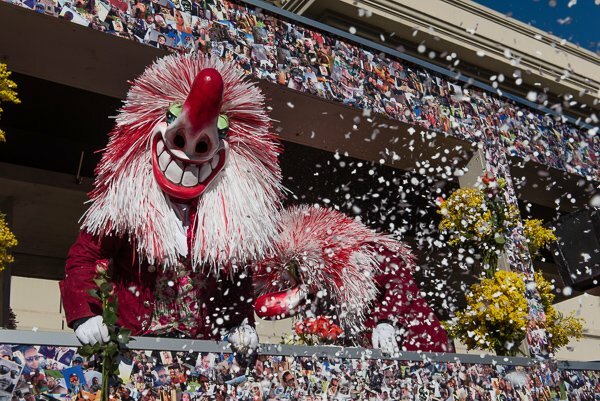 Carnival looks fun in Switzerland! And it’s nice they take on political satire as well – it gives it a ‘tongue in cheek’ edge. I wouldn’t want to have to be one of the ones who does cleanup though. 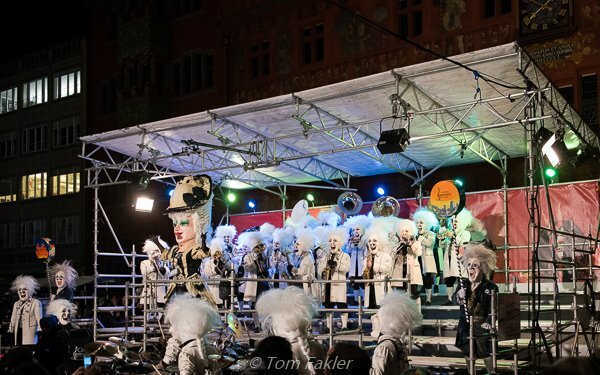 Yes, Basel Fasnacht is very special. Each day there are tons of confetti and treats on the street. In Swiss style, by 08:00 each morning the streets are ready for the new day. I kept thinking, “Why 4 am?? ?” then I saw the clean up and realized why. I loved the masks and lanterns and think Basel’s Carnival would rival more well-known carnivals! Quite the party! It is a fascinating spectacle, but all the fuss is for the locals. And although there is lots of noise-making, eating and drinking, it is very much a family-friendly event. For people who live in Basel, it’s a love-it-or-hate-it thing. I loved it! Didn’t know that they did carnival in Switzerland. Very interesting, would love to see it. Seems strange that it goes on past Ash Wednesday. The timing is part of the charm! 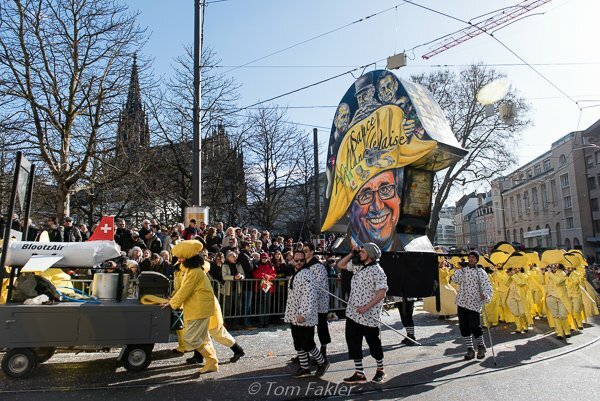 Basel’s Fasnacht is filled with satire, including thumbing the collective nose at Catholic traditions in this very protestant city. 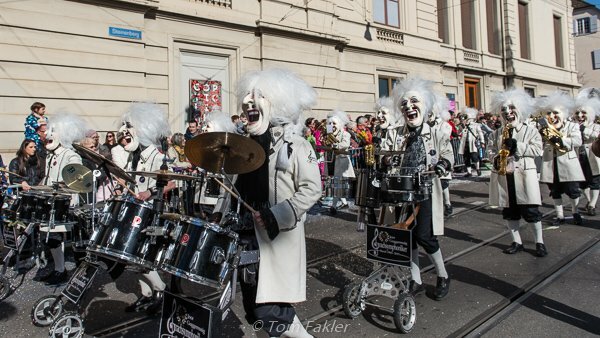 There are various carnival celebrations around Switzerland, each with a special twist, but Basel’s is quite something. 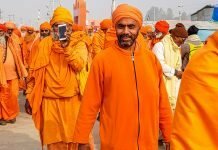 It’s interesting to see how Carnival is celebrated in different places. 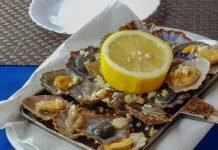 There are similarities from region to region and yet a lot of differences too. We experienced our first Carnival ever this year in rural Panama. The food was different than Basel Fasnacht, music was different, and the floats and parade content different. But I sense much of the same spirit, celebrating until the wee hours, and the same kind of clean-up needed in the morning. I agree. 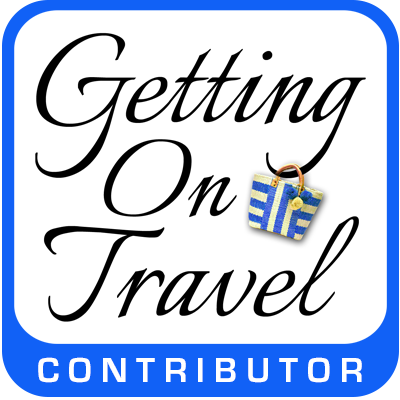 Makes for some fascinating tourism! If you go, you’ll need someone to translate things…it’s all in Basel Deutsch, and much of the humor is quite local. Even folks from Zurich need help getting the jokes!